Yesterday, We Know Next, the muscle-bound social media arm of the Society for Human Resource Management, hosted a NextChat session on Twitter. Oh, you don’t know NextChat? NextChat is a one-hour session on Twitter, which runs every Wednesday from 3-4 PM EST on a topic du jour — that’s the soup of the day — affecting HR. 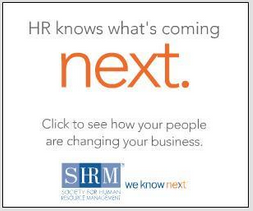 Each NextChat features 8 questions posed to an HR influencer. During theNextChat, other Twitter users may tweet along using the hashtag #nextchat, or simply follow along by searching for the #nextchat hashtag. This week, the HR influencer was moi. (Go figure). The topic: HR’s 2013 Performance Review. 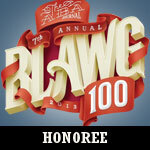 Through December 20, you can vote for this hella-awesome blog in ABA Journal’s Blawg 100 Amici contest. The top vote-getter in the “Labor & Employment” will be named the grand champion. So, if you like this blog, please vote for The Employer Handbook here, by clicking the banner to the right, or tweeting your support.